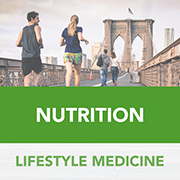 Most practitioners either ignore or de-emphasize the importance of nutrition and dietary changes in disease treatment and prevention. They often lack a clear knowledge around the key concepts involved in a nutrition prescription; lack practice at conducting nutrition assessments that leads to a reluctance in fully addressing a patient's diet; and lack recognition of how counseling techniques can be used to help patients acquire healthy eating habits. Healthcare practitioners must prioritize and integrate nutrition assessment and prescription into medical care, and collaborate with a registered dietitian to do so.